As they say ” ‘Tis The Season”. 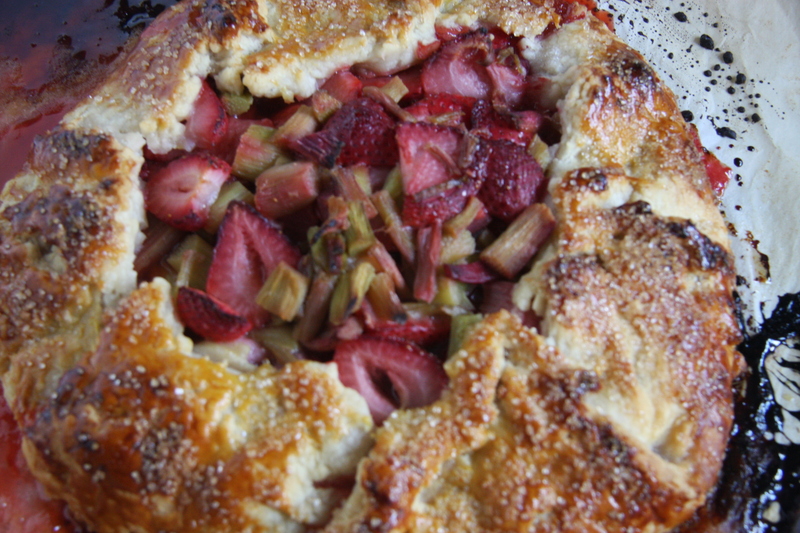 Yes, the strawberries and rhubarb are now in full bloom. What a treat. We are surrounded by both in our area. In the stores, in the markets, on the farms, even in our own back yards. 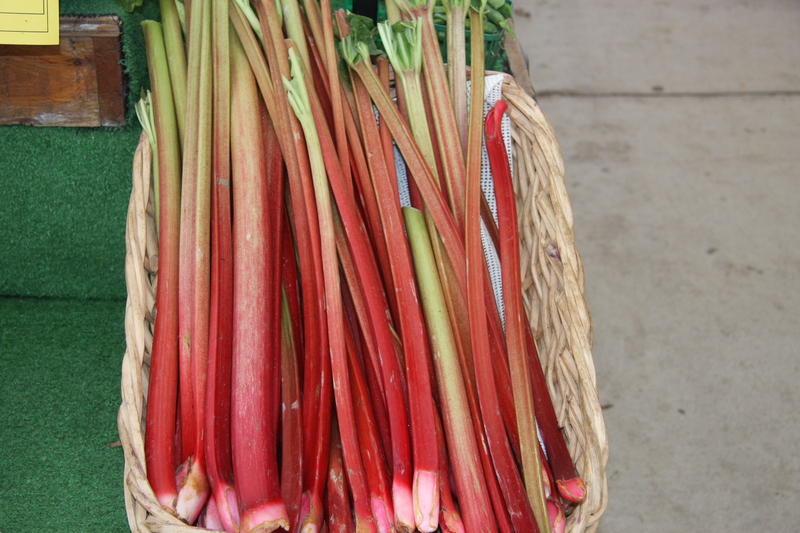 We have 4 rhubarb plants that keep us going for the summer and usually a bit for the winter. Yes, for the winter. 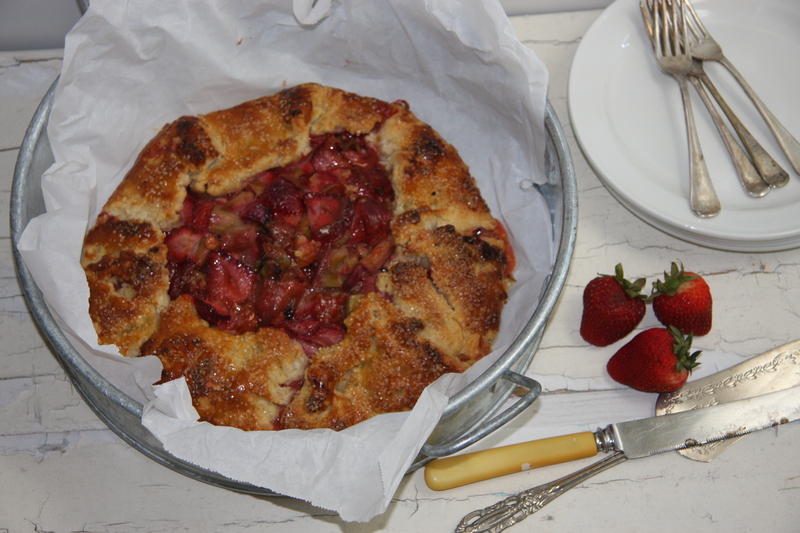 You can clean the rhubarb by washing it, taking off all the stringy bits, cutting it into bite size pieces, bagging it and putting it in the freezer for future use. Sure handy to have. Once you plant them and they start to grow, you can eventually split them to have even more plants or share them with family and friends. I normally do two things with it. 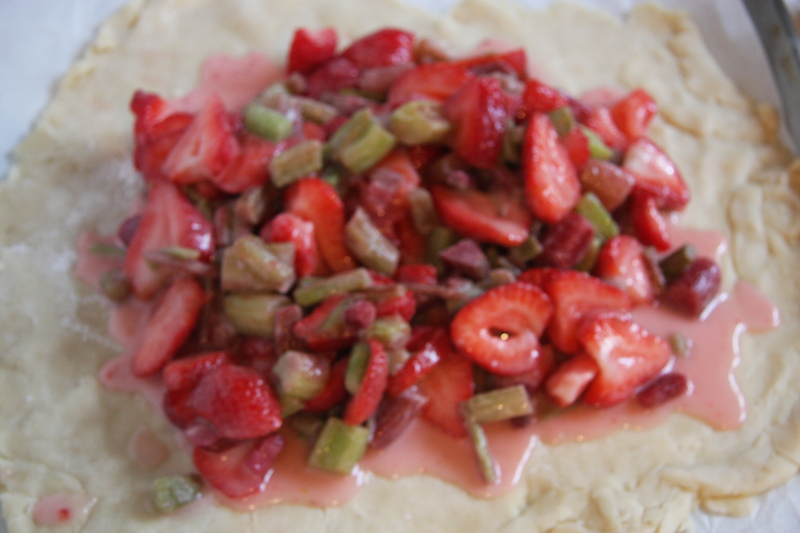 Bake pies and just put the rhubarb in a pot with some sugar, sometimes with some strawberries and a little water. Cook it on the stove. 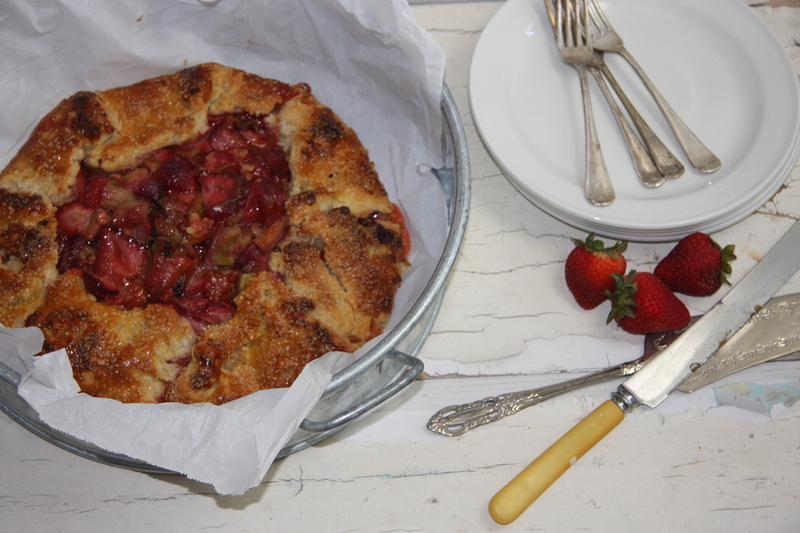 Once cooked and cooled, I put it in the fridge and we eat it just like a rhubarb compote. 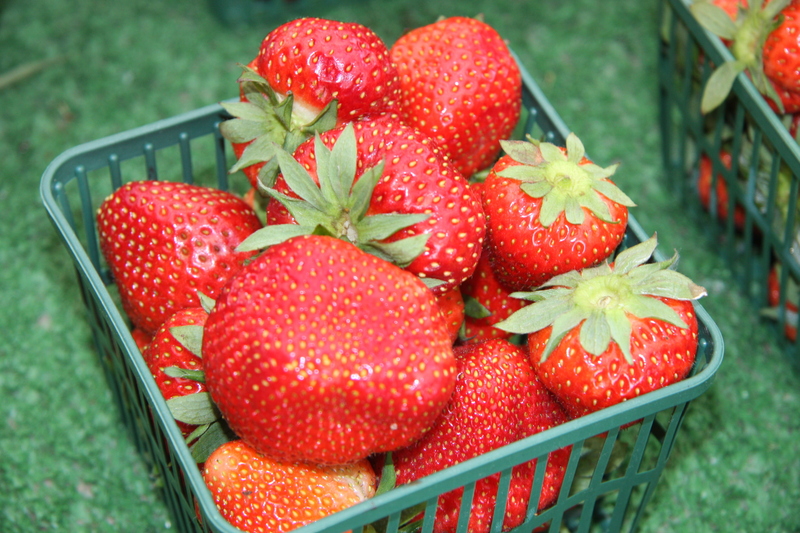 You can even put it on toast or a little on ice cream, or try adding some cream into the compote and enjoy. I won’t go into all the health benefits but just know it is really good for you. Well, as long as you don’t over do it with all the extras. So if you can get your hands on some, do it. Enjoy it while you can because the growing season isn’t too long. Though, longer if you have your own plants. So hey, why not plant a couple in your back yard and enjoy this fruit for the summer and preserve some for the winter. Doesn’t this make your mouth water? I purchased them right from the farm. A few years ago we use to pick our own but these days my knees won’t co-operate and allow me to get down and pick this delicious fruit. So I go to the farm and purchase what has been picked for me. Doesn’t matter it all tastes the same. DELICIOUS! How can anyone resist this? You can do so many things with strawberries. 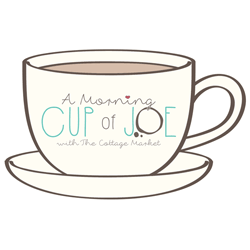 Make jam, pies, cakes, sauces, compote, freeze them, even dip them in chocolate. So what are you waiting for? Go get some before the season is over. 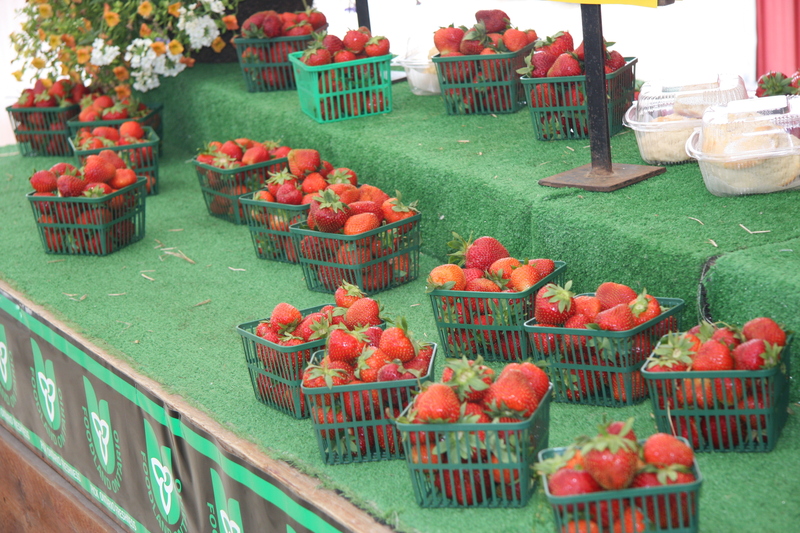 Local berries ALWAYS taste better. They go quickly, so hurry. Into a measuring cup break 1 egg. Add just a little more then 3/4 cup of cold water and then enough vinegar to make 1 cup. Set aside. 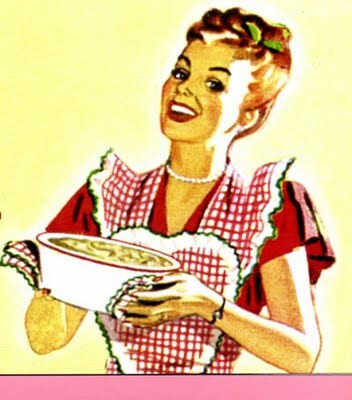 Into a large bowl add 6 cups of flour and 32 tablespoons of Crisco shortening. Mix together with a pastry blender until you have a consistency that looks like little peas in the flour. Next, gently pour in your egg mixture, making sure to spread it all over the flour. 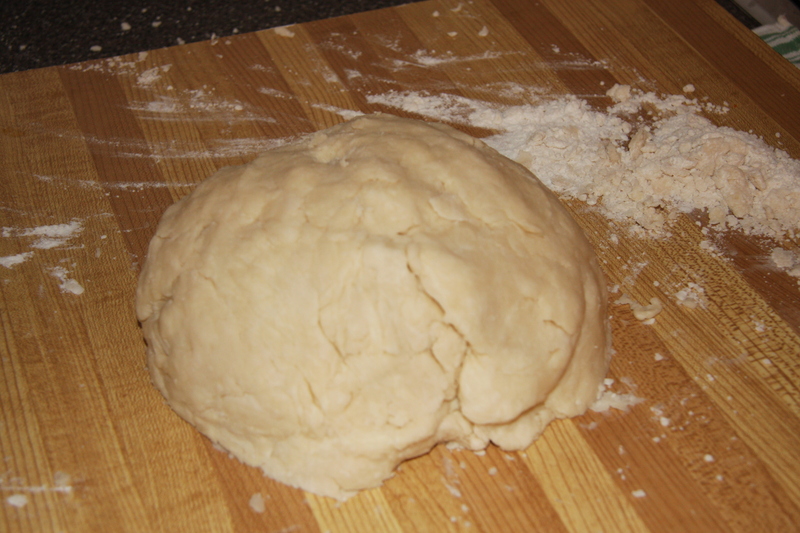 Keep using the pastry blender until you have a dough that… Looks like this. It will stick together but have bits that aren’t blended and still looks and feels like little dry peas. 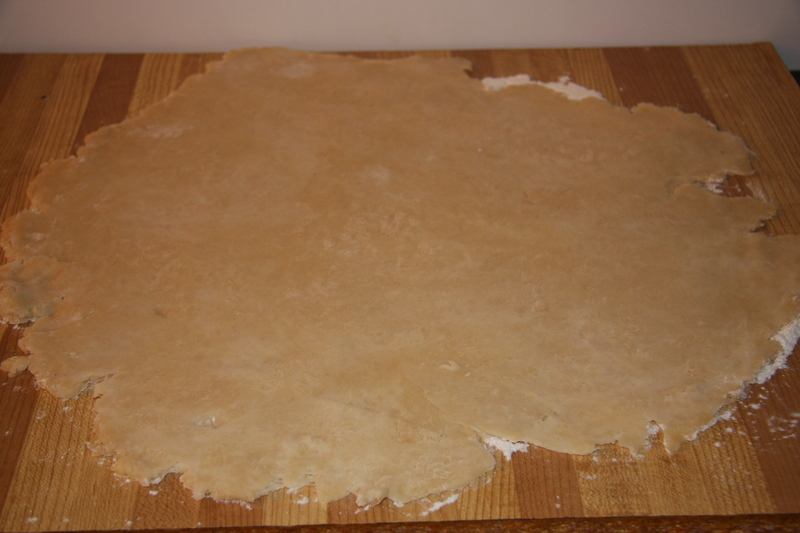 At this point turn the dough onto a floured board and gently fold it together. You will see it come together but make sure not to over work it. If after a couple of minutes there are some dry bits left on the board, sweep them aside making sure not to use them. It is important not to over work the dough. Once it has come together this is what it will look like. For this recipe I cut it into 2 pieces. 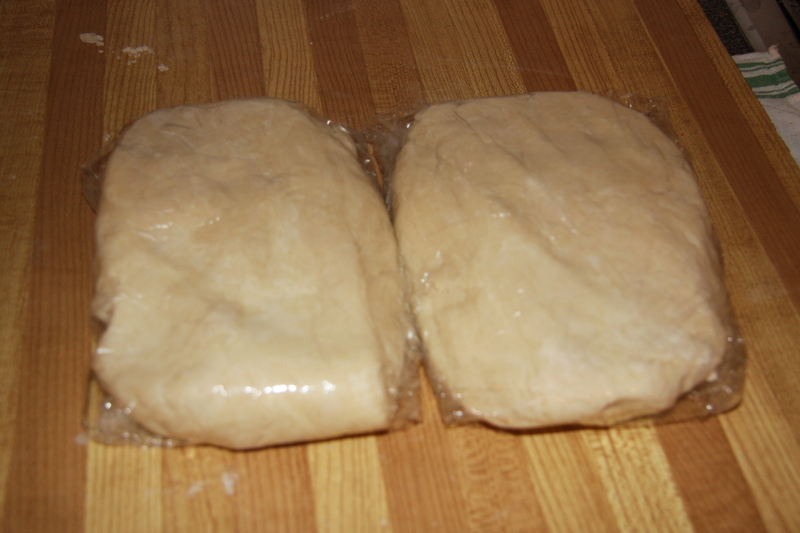 Wrap both pieces in saran wrap and place into the fridge. If you will not be using it the next day wrap in foil. 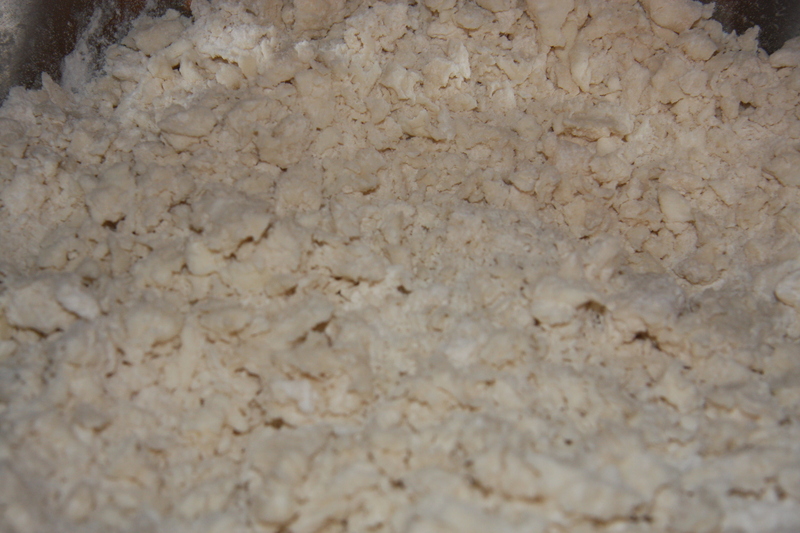 This dough will keep 6 weeks wrapped in foil in the fridge and 2-3 months in the freezer. 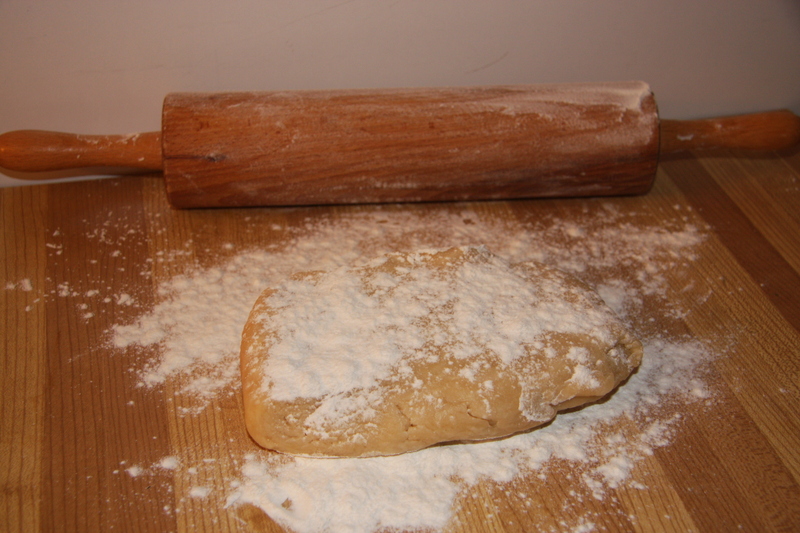 Place dough on a floured work surface. Roll out to form a large circle. The size will depend on how thick you would like you tart to be. I roll mine out approximately 12-14 inches across. Filling Into a large bowl add 4 cups of rhubarb and 4 cups of strawberries, 1-1 1/2 cups of sugar, zest of one or two lemons and give it a good mix. Next add 1/2 cup of cornstarch and mix again. 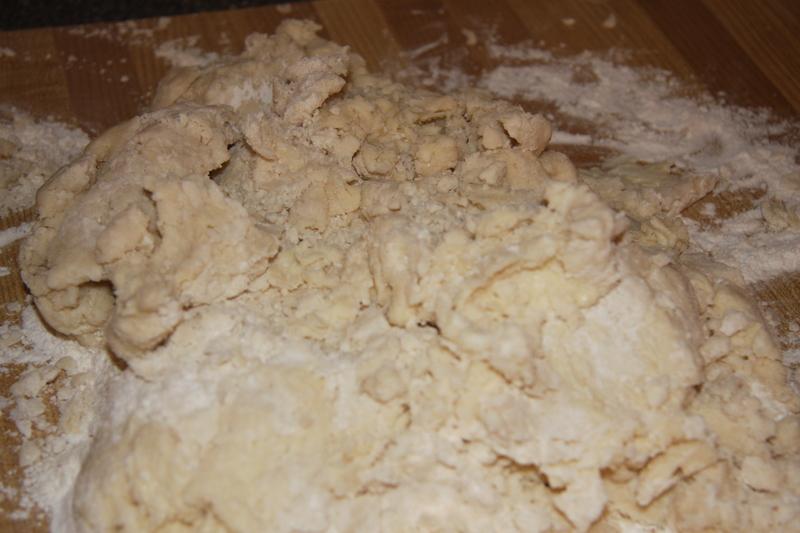 Sprinkle a little flour on the dough then gently fold it over. Place on a parchment lined pan and unfold. 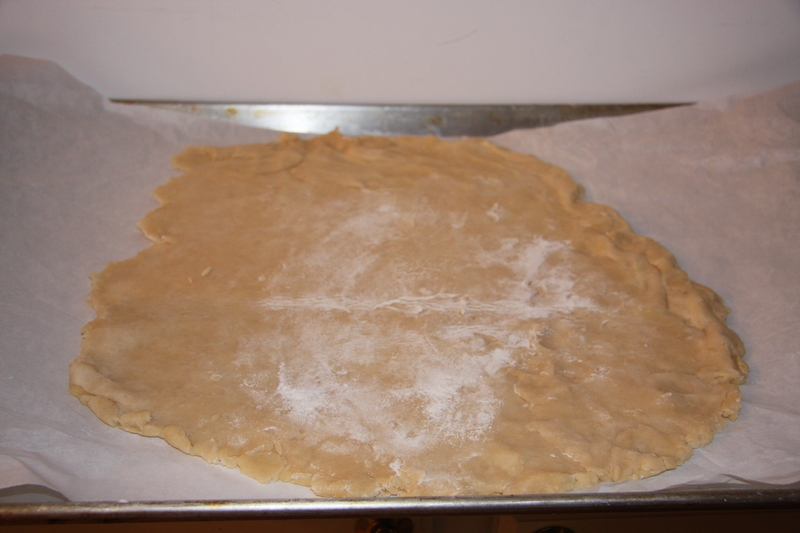 Place the filling on the pastry, starting in the middle gently spreading it out about 3-4 inches from the edge. Bring the edge of the tart and gently lay it on the fruit. Make folds in the pastry. Brush pastry with a beaten egg yolk and sprinkle with coarse sugar. Bake at 450 degrees for 15 minutes. Reduce the heat to 350 degrees for approximately 30 minutes. Times may vary according to each individual oven. 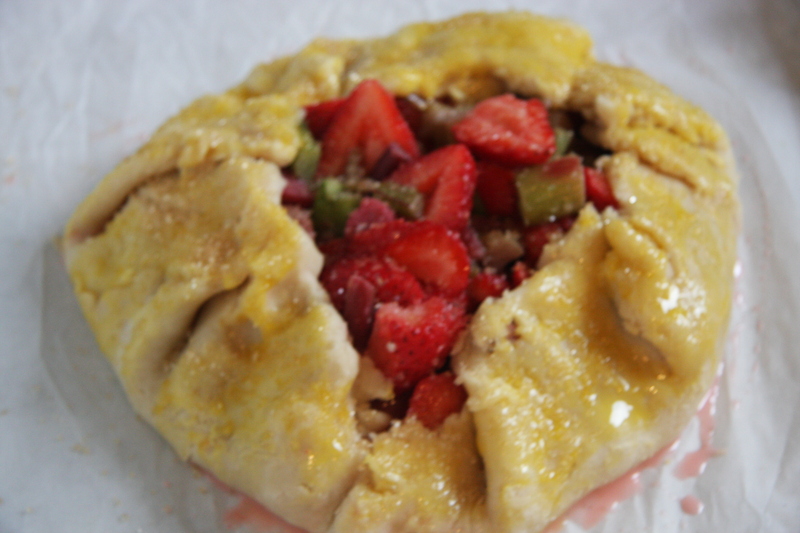 The best tip is to set your timer 5-6 minutes less then the allotted time and check the tart. If it is nicely golden on the bottom and the top, it should be done. To be safe, you could shut the oven off and leave the tart in for a few more minutes. 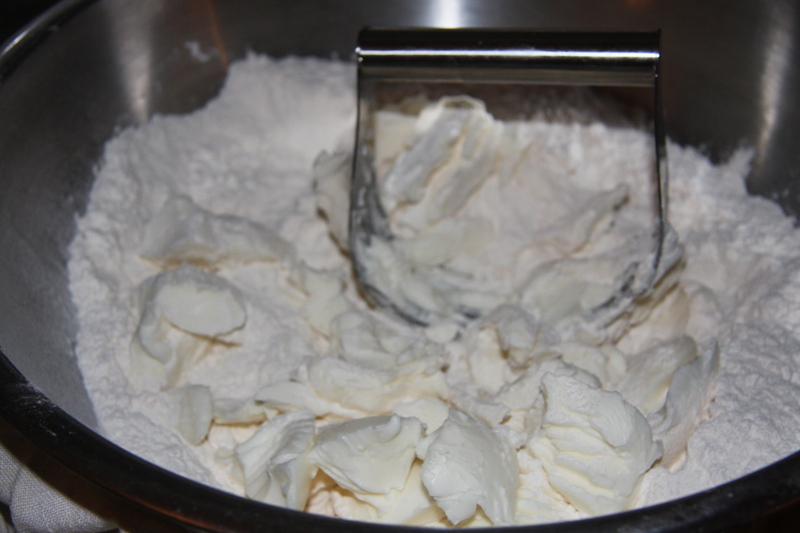 Combine the flour and Crisco with a pastry blender, until little pea shaped pieces appear. 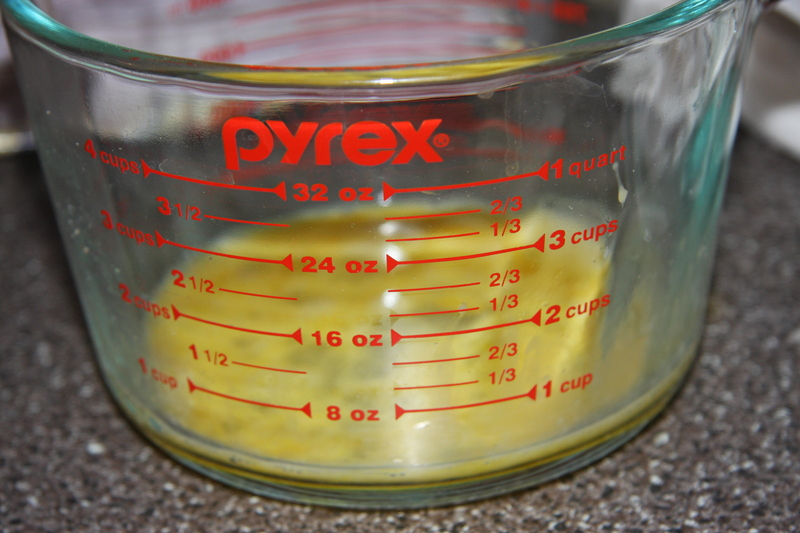 Next in a measuring cup add 1 beaten egg, 3/4 cup of water. Mix to combine. 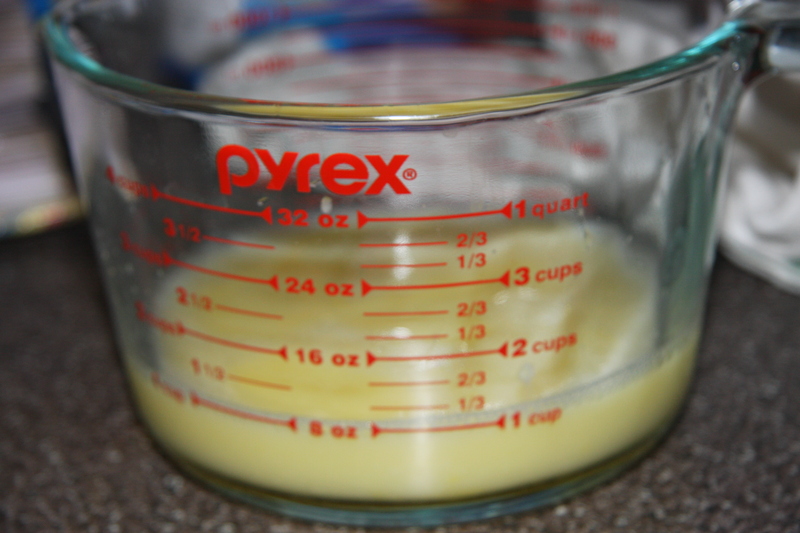 Next add the vinegar to so the final amount on the measuring cup reads 1 cup. The amount of vinegar is approximately 1/8 – 1/4 cup of vinegar. Continue to combine with the pastry blender until it just starts to come together. 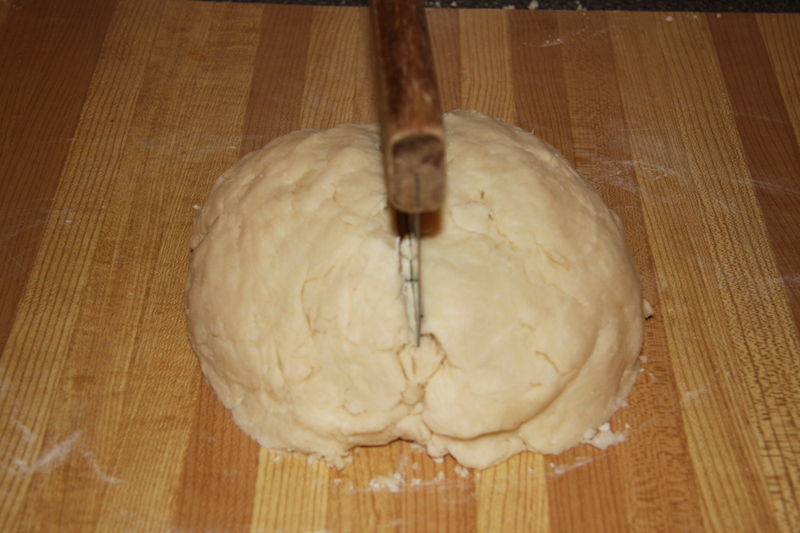 Place onto a work surface so you can gently bring the dough together. Form into a ball and cut into two. Wrap in saran or foil and place in the fridge for 2 hours. Will keep 6 weeks wrapped in foil in the fridge and 2-3 months in the freezer. Roll out to approximately 12- 14 inches in diameter. Set aside. 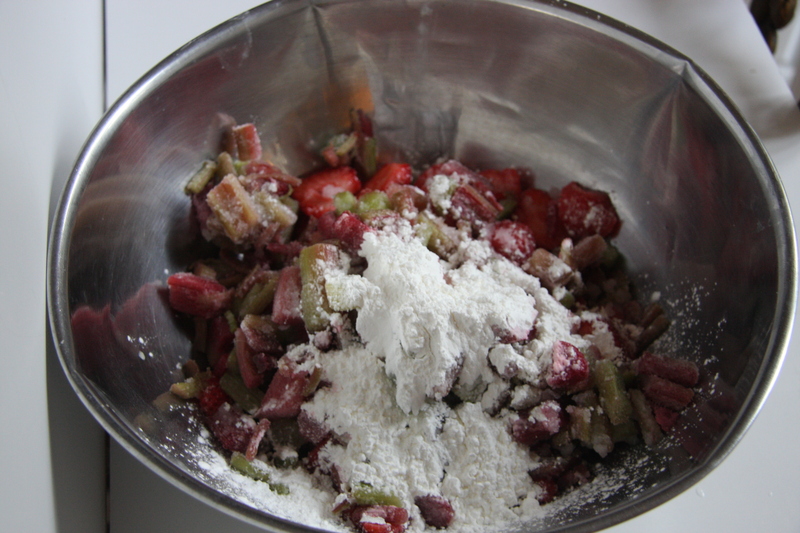 Combine rhubarb, strawberries, sugar lemon zest and cornstarch. Once combined place in the middle of the tart spreading a bit. Dot fruit with butter. 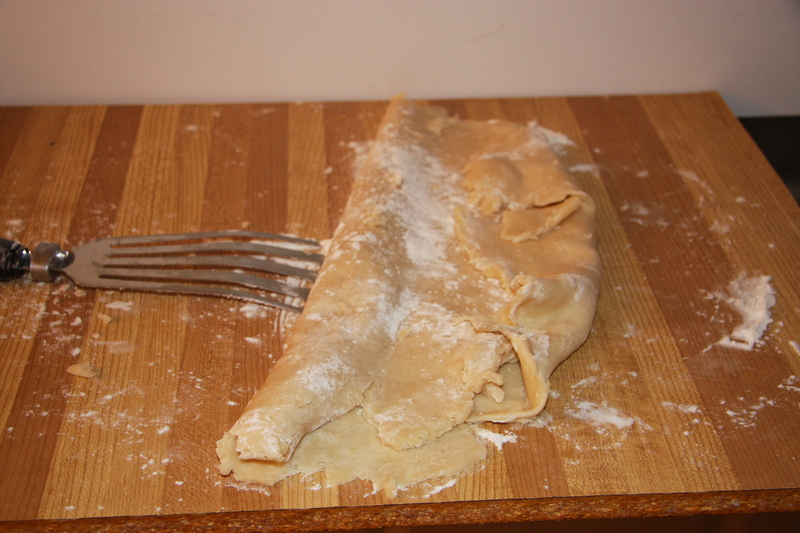 Fold pastry over and make folds all the way around. Brush the pastry with a beaten egg yolk and sprinkle with a coarse sugar. Bake in a preheated 450 degree oven for 15 minutes. Reduce heat to 350 degrees for approximately 30 minutes making sure it is nicely browned on top and bottom. I have been making this tart for many, many years. We enjoy it and I really hope you do too.